Arabic restaurant software helps to manage modern fast billing, KOT, customers, inventory and increase customer loyalty while reduces wastage. The aroma of mild spices from tender meat is the reason why people crave for middle eastern food. Throughout the year, Arabic restaurants never fall short of customers. However, lack of business strategy & standardization amplifies inefficiencies in handling customer’s order, table booking, service time and food production. Setting up the right standard improves customer’s experience and profit margin. It’s all possible with Just Billing Arabic restaurant software. While taking food orders, it automatically gives a notification in Kitchen for the menu ordered, canceling the human errors for order queue. This Arabic restaurant software defines BOM, production cost, moving average; helping owners to determine a standard sales price throughout the year. Just Billing POS enables the cashier to accept any form of digital payments along with cash. Systems maintain the payment process & payments modes for future reference. 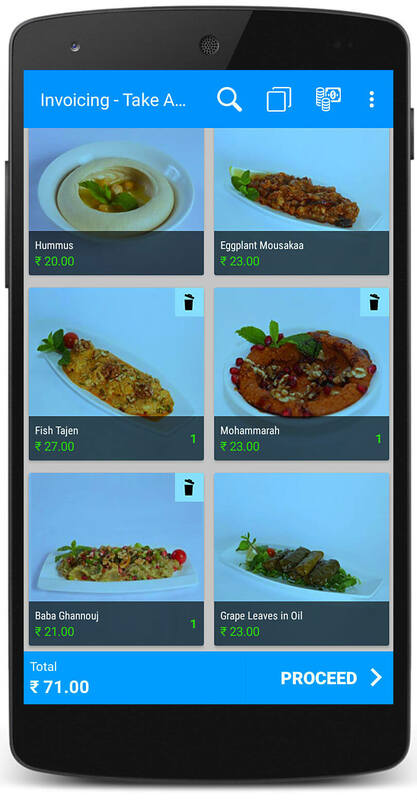 Just Billing Arabic restaurant software also has a wing for online food orders. Now table booking, home delivery everything is on one screen. Just Billing cloud back office gives a mirror effect of restaurant operations. Owners need not required to be present in day-to-day operations. Product inventory details are recorded at every stage like purchase order, goods received note, production rate, usage of materials etc. Using Just Billing POS, user can track advance or due payment status to product suppliers. A documented record nullifies human errors and upholds a strategic relationship in business. All it takes is customer’s mobile number to run loyalty program in Just Billing restaurant software. Happy customers always revisit making business wealthy. Download and follow simple steps to setup Just Billing Arabic Restaurant Software.